Published: Jan. 28, 2019, 9:20 p.m. Without a doubt Cars Games are the favorite of many people and this is something that comes from our childhood to adulthood. Cars are the consumer dream of many people and so games like Need For Speed ​​or Gran Turismo are so successful. Even in other games where cars are not the central point, they also make the difference as in the famous GTA or Driver. What kinds of Car Games do we have today? And if you think of vehicles these styles will grow even more with Motorcycle Games or Simulation Games like Euro Truck Simulator, where you are in the shoes of a trucker. 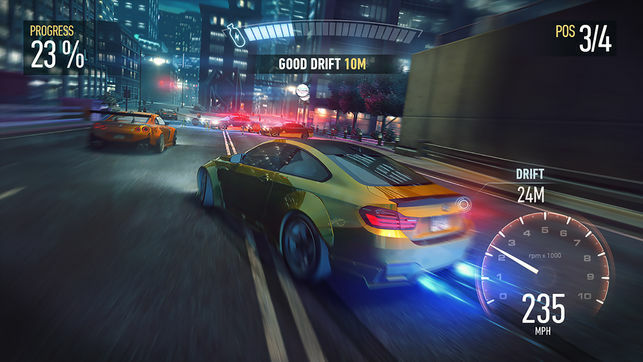 Need for Speed ​​the racing game that is in the heart of many players! Whenever we talk about car games or racing games, surely Need For Speed ​​is the game that comes to mind. The game that had its first version released in 1994 for platforms 3DO, Saturn, DOS and PlayStation is successful until today. Since then there have been 24 years of success and 23 titles have been released. The Underground and Underground 2 titles made tremendous success in the 2000s. With a respectful customization system, with several vehicles available and some even known in the Brazilian market, the game is a full plate for those who like to get out and feel the adrenaline of the high speed. At the same time was released the film Fast and Furious what I believe to have helped in the popularity of the titles. Well now that you know a little bit more about Car Games, we separate a little list with some games that you will love. So choose one and enjoy! Published: Oct. 31, 2018, 9:35 p.m. Published: Nov. 17, 2018, 1:03 a.m. Published: Jan. 20, 2019, 10:39 p.m. Published: Jan. 28, 2019, 9:21 a.m. Published: Dec. 25, 2018, 10:03 p.m. Published: Nov. 17, 2018, 10:29 p.m. Published: Nov. 7, 2018, 8:26 p.m. Published: Jan. 22, 2019, 11:55 p.m. Published: Jan. 23, 2019, 9:43 p.m.